The Pet Professional Guild - Get Pet First Aid Certified. Learn the necessary skills to keep pets safe! Get Pet First Aid Certified. Learn the necessary skills to keep pets safe! The first three live presentations received fabulous testimonials so to help educate pet professionals on pet first aid we have made it available as a recording. The total program length is almost three hours so we have divided it into three sections. The first three live presentations received fabulous testimonials so to help educate pet owners on pet first aid we have made it available as a recording. This is a 3 part recorded educational webinar that will teach you all the necessary skills you need to manage a pet emergency. There are 3 x 1 hour webinars. 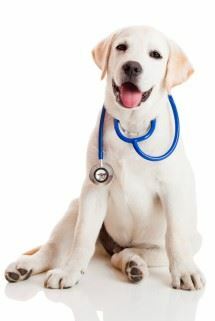 These webinars were developed and designed by veterinarian medical professionals. Group rates available. Contact Rebekah King to learn about group discounts. The links to all three recorded webinars. The Pet First Aid program covers topics from heat stroke to snake bites, CPR, wound management and how to safely transport a pet to the care of a veterinarian professional. It should be remembered that first aid is literally that: aid or management that is rendered as soon as a problem is identified at the scene of an accident or injury, and as a bridge between those first to respond to a problem until the time when professional care is provided. Many people confuse first aid with specific treatment for an illness or injury. This often results in proper care never being received or care being delayed to such an extent as to compound the problem. To receive your PPG Pet First Aid Certification you will have to complete and pass an open-book online certification test comprised of 50 questions. You will also be required to provide four short 30 second videos to demonstrate hands on competency. Full details are explained in the presentation. How to effectively and safety be a pet first aid responder. Learn how to manage the most common pet emergencies until the pet is transferred to a veterinarian. This webinar is presented by Bethany Jordan . Bethany is a Certified Veterinarian Technician and a CPDT-KA. Bethany has a BA Animal Sciences Degree from the University of Florida and has experience as a Surgery Technician with the Veterinary Heart Institute, a Senior Floor Technician responsible for teaching students pursuing Veterinary Medicine degrees at The University of Florida and as an Animal Clinic Head Technician. Bethany was also the Medical Director at Alaqua Animal Refuge in Freeport Florida, responsible for up to 250 animals.